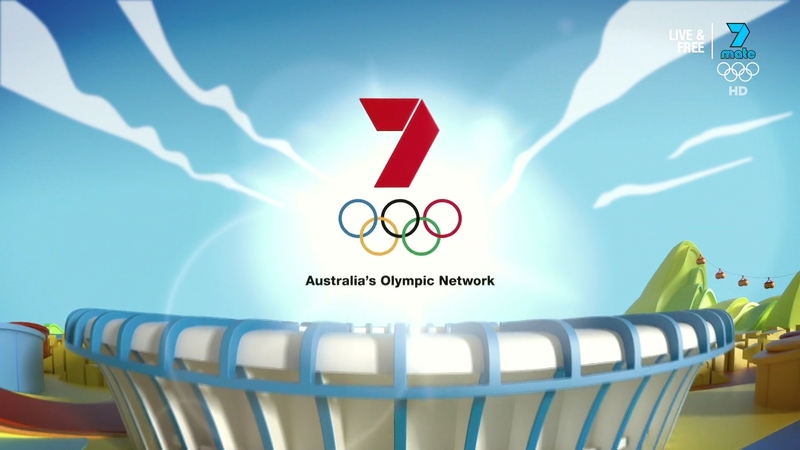 Seven Network began its new tenure as Australia’s Olympic broadcast rights holder with this years Rio games. 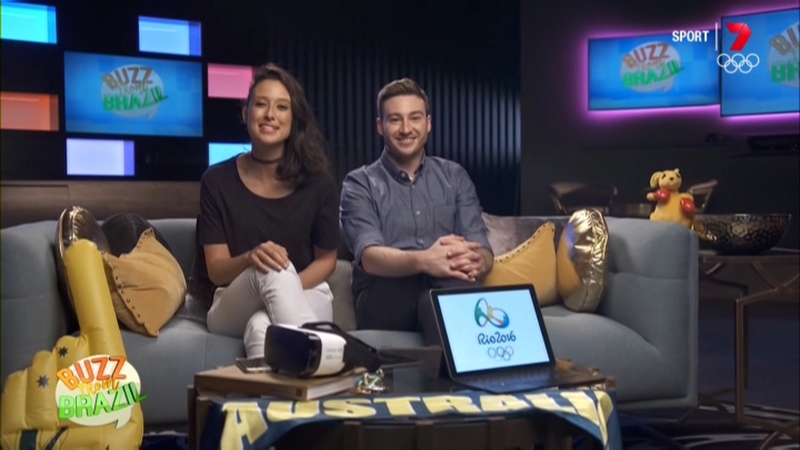 The new home, which has secured right through the 2020 Summer Olympics in Tokyo, promised to bring the most technologically advanced coverage to Australia, using Seven’s digital networks of 7, 7two and 7mate plus multiple online streams and mobile apps. 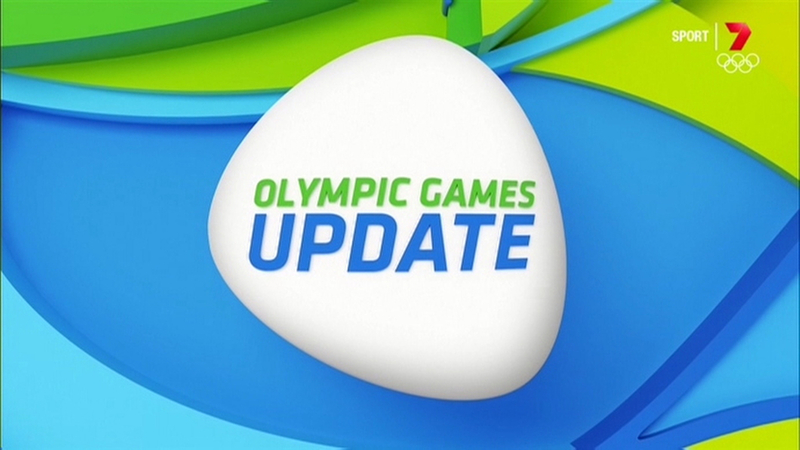 This move follows a trend in the country of the games being passed around, following a bidding fiasco for Sochi which left all bidders pulling out over cost concerns and Ten picking up the scraps at the last minute. Foxtel, which is 50% owned by NewsCorp, held the rights for 2010 and 2012. 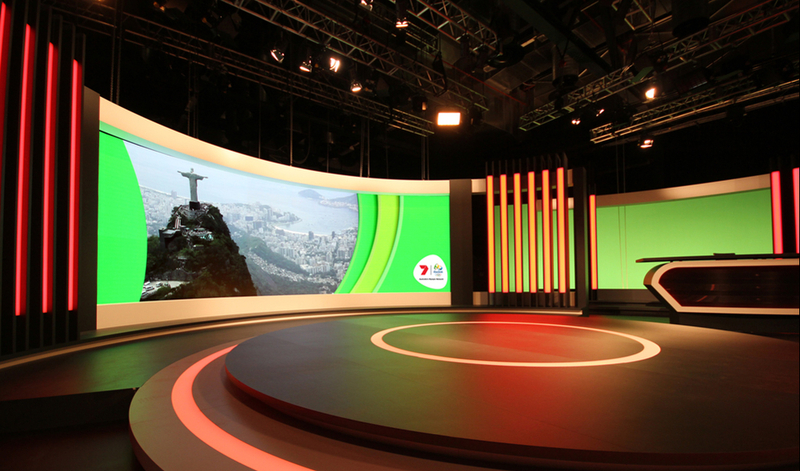 For its coverage, Seven has setup its Olympic home at NEP Studios in Sydney, with a small live-shot location in Rio de Janeiro. The set, which was developed by Angus Millar of NEP and designed by Mal Nichols with fabrication by Richwood Projects, features a large VuePix LED wall that is flanked by backlit columns. 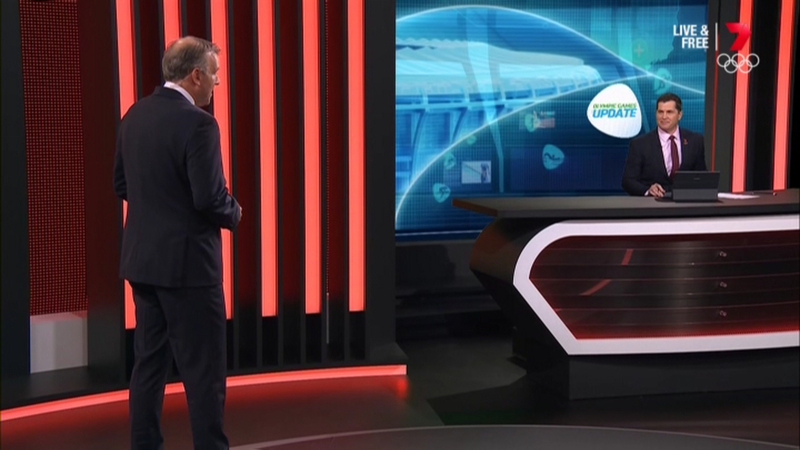 A secondary location with a digital background includes an update desk, where news about the games is delivered. Initial concept rendering of studio with augmented reality graphics. 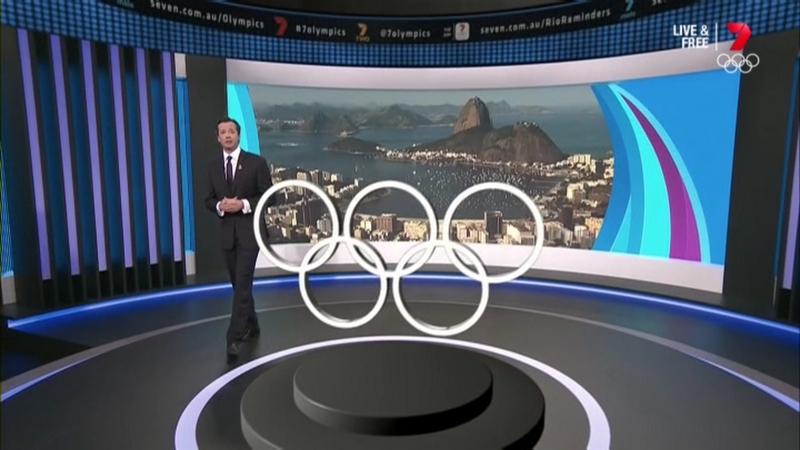 Example of augmented reality in studio. 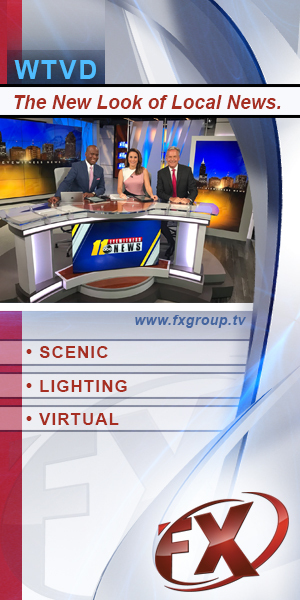 The studio includes some augmented reality, including the projection of a floating header and social media ticker along with graphics in the center of the floor. A smaller soft set, known as the “Buzz from Brazil,” is also being used and features a couch with many chotskies. 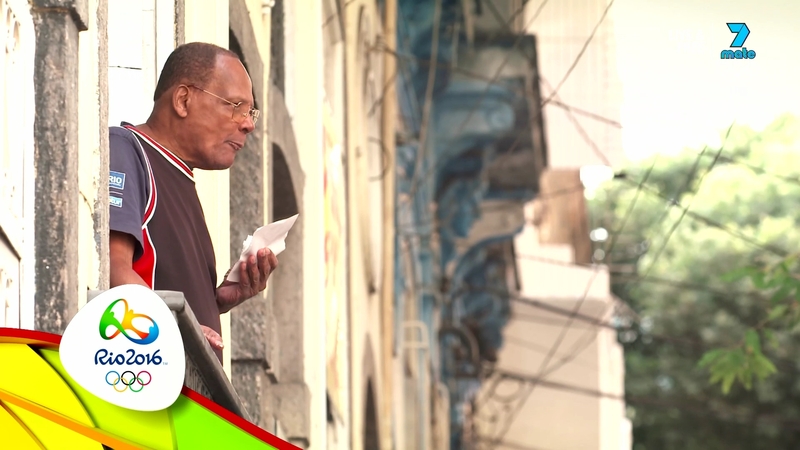 Seven’s “Sunrise” morning program is also originating from Rio. Graphically, Seven has went a playful route, mixing bright colors with animated characters. 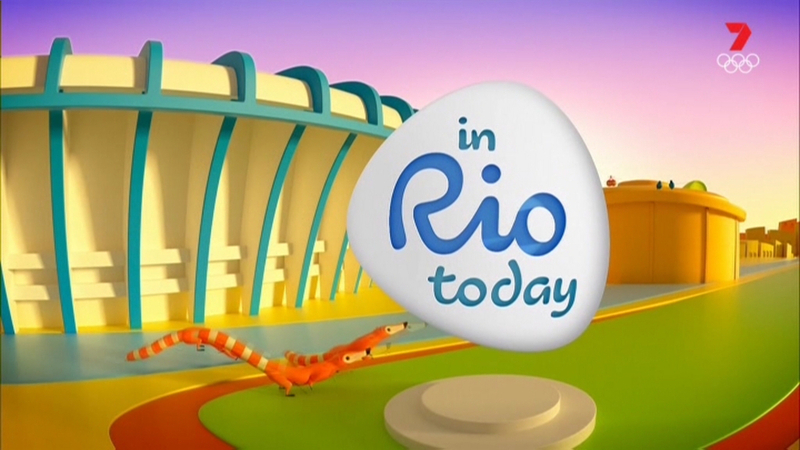 Animations include birds flying through scenes of Rio and animals running around stadiums, capturing the essence of Rio in a fun and inviting way. 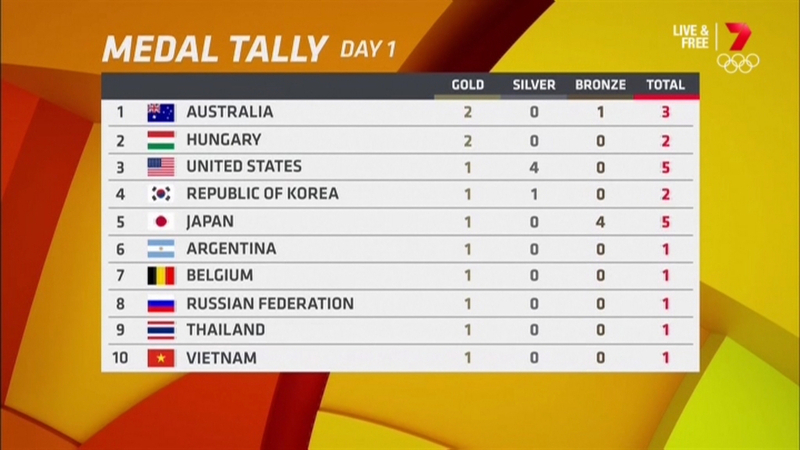 Some images courtesy of MediaSpy.org and Seven Network.